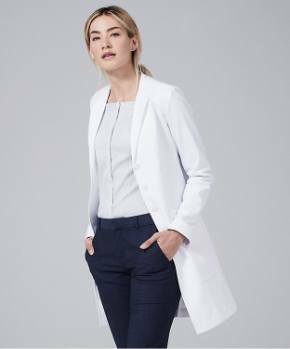 Designs that for the first time incorporated curved shapes and seams, as opposed to the straight lines in unisex scrubs, enabled the scrubs to take on a far more professional, even prestigious appearance. 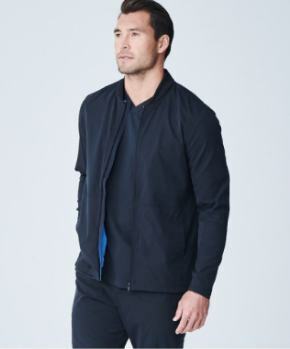 Shaping through the shoulders and upper chest afforded the wearer a far more flattering and sophisticated look while maximizing range of motion and comfort. Impeccable hand sewing yielding exceptional quality and finishing offered the wearer a more confident and distinguished appearance. Use of high performance moisture wicking and bacteriostatic fabrics in the production of scrubs, for the first time enabled the scrubs to be functional, wicking away moisture and preventing odors. Changes to the weight of the fabric improved the appearance by enabling the drape of the pants to more closely resemble a pair of khaki’s than a unisex scrub pant. 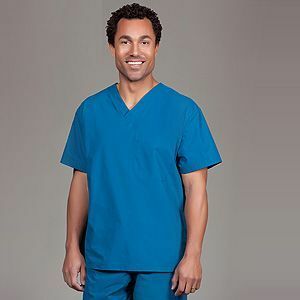 Changes to the softness of the fabric improved the comfort and the appearance of the scrub top by enabling it to more closely resemble a higher quality woven short-sleeve shirt than a unisex scrub top. Replacing the S – XXXL sizing scale with traditional men’s apparel sizing enabled a much more precise fit since there were far more sizes to choose from. The addition of a high quality, comfortable, and durable zippered fly represented a profound advancement in men’s scrubs, as silly as that may seem. Inclusion of a gusseted, modern crotch significantly improved the appearance and comfort of men’s scrub pants. 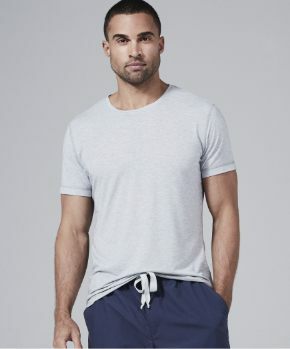 Incorporation of an athletic waistband design with both elastic and a traditional drawstring ensures that the crotch doesn’t hang low or the waist too high. The meticulous attention given to the design of the v-neck opening in the scrub top enabled male clinicians to minimize the amount of chest hair exposed. Five functional pockets accommodate all necessary items securely, including a PDA. Durable Velcro closures on the rear and cargo pockets add additional security. 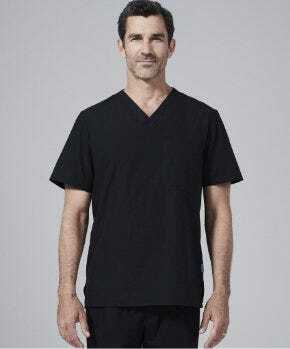 What company pioneered the top advancements in men’s scrubs? Medelita Mens www.medelita.com . Learn more about this innovative company to better appreciate how enthusiastically these improvements are being welcomed by clinician’s like you. Spend a few minutes on their website paying particular attention to the numerous unsolicited testimonials offered by your peers. 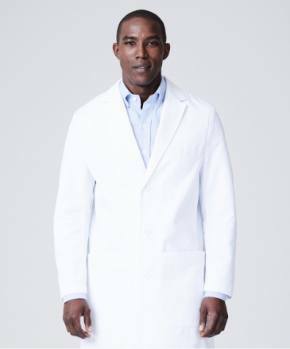 It may give you a whole new perspective on how these advancements in men’s scrubs have become an important part of a much larger revolution currently taking place in the medical apparel industry.